The Ontario government says it will not appeal a Superior Court decision in favour of Tesla Motors Canada over the cancellation of electric vehicle rebates. "The Ministry [of Transportation] will abide by the court's decision and I have directed the ministry to expand the wind-down process for the Electric and Hydrogen Vehicle Incentive Program," Transportation Minister John Yakabuski said in a statement released Friday. On Monday, Ontario Superior Court Judge Frederick Myers ruled that the provincial government's decision to exclude Tesla from a grace period for an electric vehicle rebate program was arbitrary and had singled out Tesla for harm. ​The ruling required the government to review the program so that it includes Tesla or provides adequate justification for the company's exclusion. Under updated conditions, Yakabuski said incentives will be provided as long as vehicles were purchased from a dealer or directly from manufacturers by July 11 and delivered to customers, registered and plated on or before Sept. 10. This would effectively include Tesla customers in the rebate program if their purchase falls within the given dates. "This is likely only the first of many decisions against the Ford government's decision to rip up hundreds of cap-and-trade and green energy contracts," Sara Singh, the Ontario NDP critic for the Ministry of the Attorney General, said in a statement. In mid-August, Tesla filed a suit against the provincial government alleging it had suffered "substantial harm" and lost sales following the cancellation of an electric vehicle rebate. The lawsuit came after a decision by Premier Doug Ford to scrap the province's Electric and Hydrogen Vehicle Incentive Program (EHVIP) launched by the previous Liberal government. The program offered rebates of up to $14,000 on qualifying vehicles. When it cancelled the program, the province promised to honour the incentive for those who have their vehicle delivered, registered and plated if it was purchased from a dealer before Sept. 10. 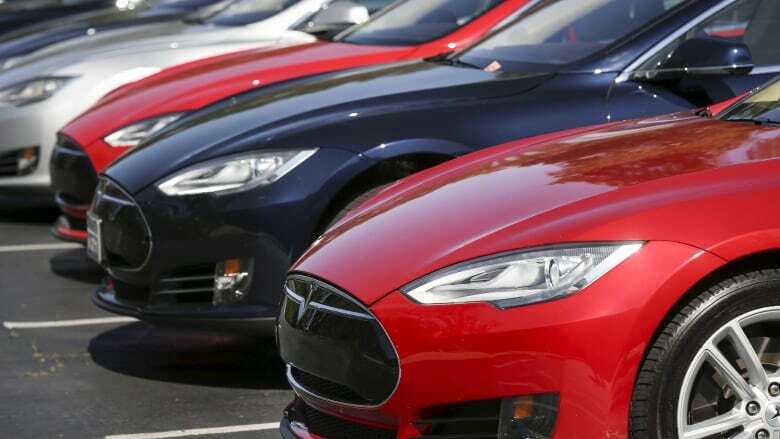 But the province said the incentive would end immediately for anyone who ordered their vehicle directly from the manufacturer, which impacted Tesla customers. Toronto resident Calvin Kimura said he is "pretty excited" that the government is expanding the wind-down process, but said he is still nervous about getting the $14,000 rebate. "I feel a little anxious because there's a whole bunch of people now that have to squeeze in their delivery dates before Sept. 10, which is just around the corner," he said Friday afternoon. He said he is waiting for a $70,000 Tesla Model 3, an order he placed before the rebate was cancelled. "It's a little last minute.… But, Tesla is working really closely with us to make sure we all make those deadlines." Kimura said the whole process has "definitely been a roller-coaster ride." "I originally placed my order early in lieu of the rebate being cancelled.… Then they told me 'No you're not getting [the rebate] because you got a Tesla,' and now I'm getting it again. So, it's been up and down this whole time," he said. Kimura said he is happy to get his rebate, but still isn't pleased with the provincial government because it didn't do the right thing "on their own means." "It really looks bad on them to have the court make them decide on the right decision," he said. "I guess now they will think twice about trying to single out a particular manufacturer."